This weekend the Principality of Monaco has yet again welcomed bonsai enthusiasts from different corners of the globe to take part in the Monaco Bonsai Expo 2017, from the 9th to the 11th of June, under the High Patronage of S.A.R. Princess of Hanover. As always, the event takes place in the beautifully serene and prestigious location of the Jardin Exotique, with this year’s theme being “The Beautiful Mornings of June”, organised by the Mairie de Monaco in partnership with the established Bonsai Club of Monaco. You might not be aware of this fact, but the Principality of Monaco is home to an enthusiastic and passionate group of Bonsai lovers and botanists that devote their time to the delicate art of bonsai growing. 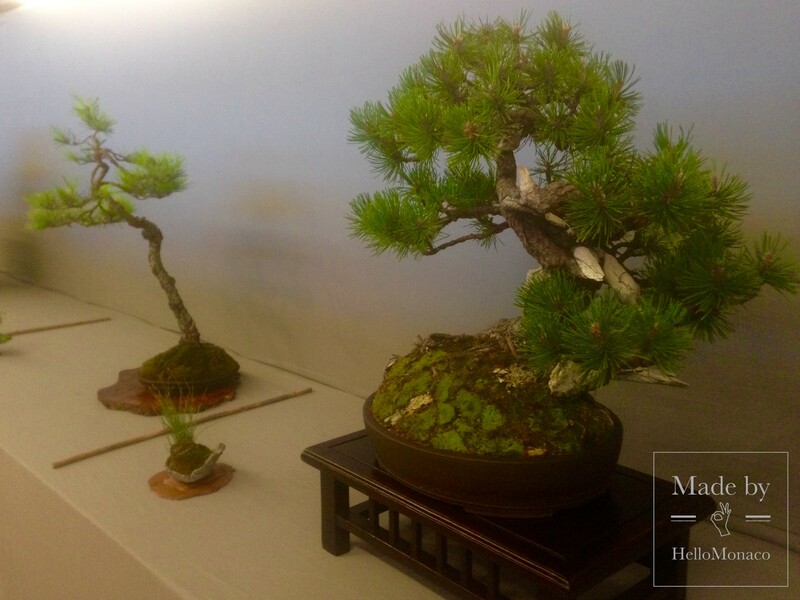 Such a unique event exists in Monaco because of the established Bonsai Club of Monaco that unites the dedicated individuals since the early 1990’s, teaching others the art form. One that has been consistently admired but rarely understood, a true piece of Asian aesthetic culture that’s nearly 2000 years old, first spotted in Chinese dynasties before the Japanese took over the art of bonsai and developed it into the hobby we know of today. Bonsai simply translates to “plant in a tray”, but it is much more than that – it takes meticulous care and pruning and is one of the most unique hobbies out there. As the members of the Bonsai Club explained, ‘patience is a virtue’ and one must embrace the learning curve and leave space for trial and error when it comes to bonsai cultivation. If one wants to start the bonsai process, ‘one must have perseverance and follow the advice of bonsai growers around the world’. 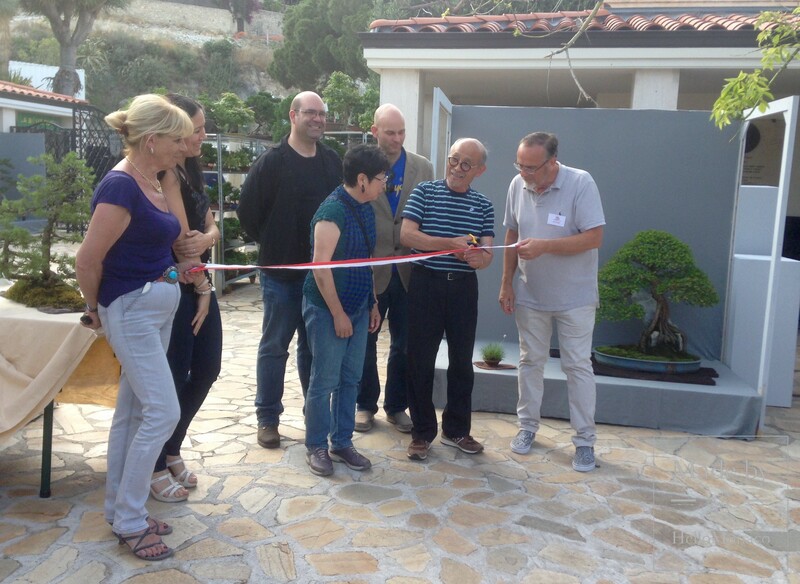 This years edition was officially inaugurated with the customary cutting of the ribbon carried out by some of the masters in bonsai growing, Maître Takeo Kawabeet Mme Assami Nakamura-Keller. The exhibitors were able to set up displays to showcase their glorious creations and share their talent with the public and like-minded individuals. The inauguration was a chance for those taking part to meet and discuss bonsai techniques and their love for the art, as bonsai enthusiasts tend to be few people that are spread far and wide. 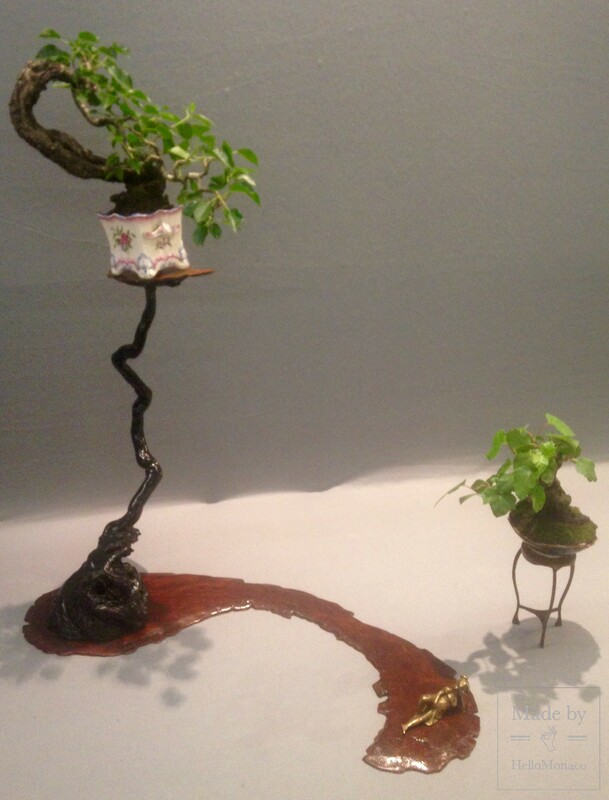 Interestingly, although the majority of bonsai lovers originate from Japan and China of course, many Italians are known to cultivate bonsais and adore the art form as they have a particular appreciation for nature. Italian Giorgio Castagneri for example is the founder of Bonsai Time International School created in 1962. 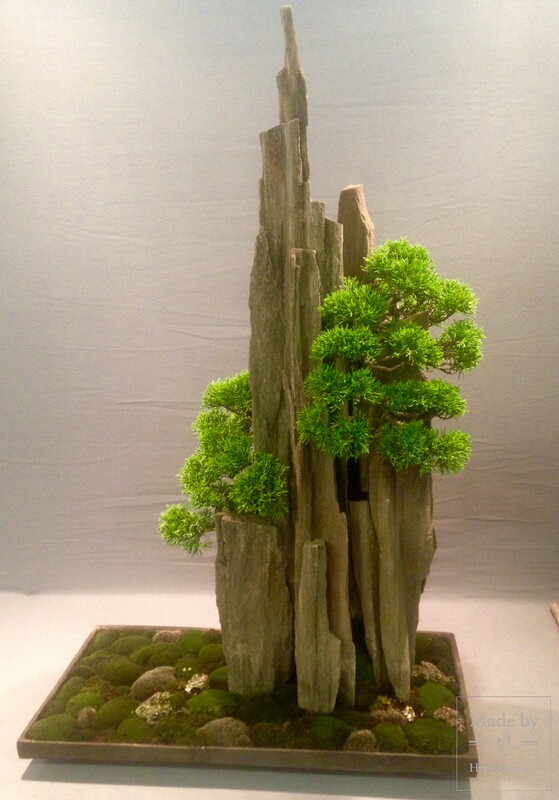 He had a keen interest in bonsais since a young age and sought out advice from some of the best masters, like Valerio Gianotti and Ideo Suzuki, perfecting the skill and receiving qualifications in the art which led him to create his own school and attend international bonsai congresses. On the 10th and 11th of June, the gardens were open to the general public to come and admire bonsai trees brought in from all over the world, each with unique shapes and sizes, wonderfully incorporated into splendid displays. 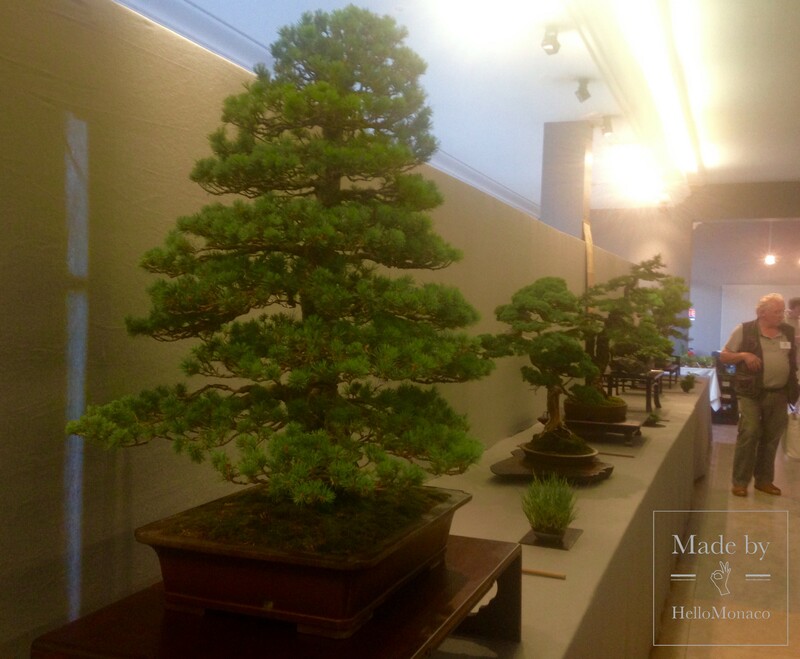 Visitors were also able to attend demonstrations of skilled techniques, maintenance and tips for creating the perfect, long-lasting bonsai tree, given by some of the greatest masters from Japan, Italy and all over, like Master Takéo Kawabe, one of the greatest Japanese bonsai masters. Even curious bonsai beginners were able to leave with some valuable tips and tricks to aid them in their newly found hobby and soon-to-be passion. 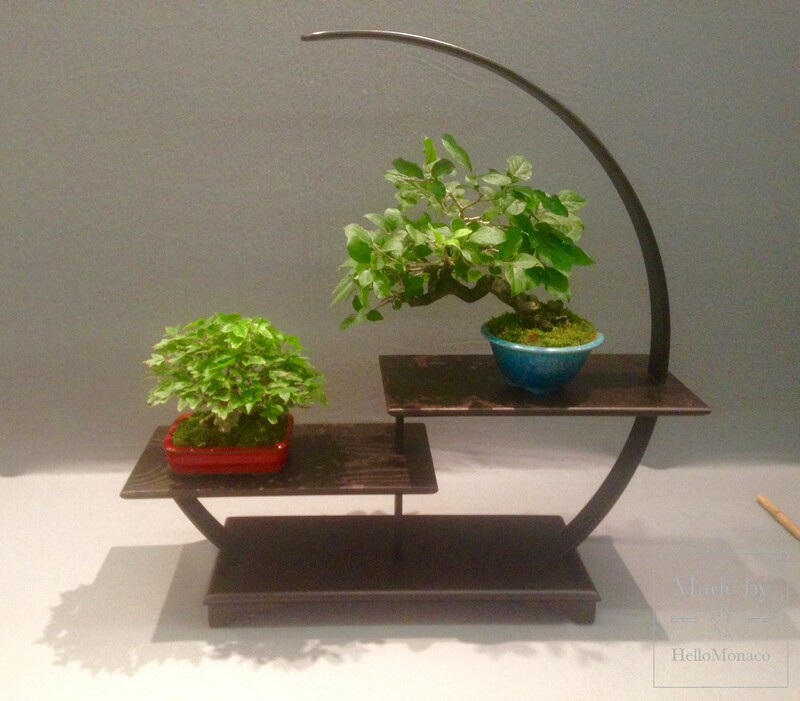 You were also able to buy high-quality pottery and equipment as well as your own bonsai plants, which can range from 20 to 1 million euros. 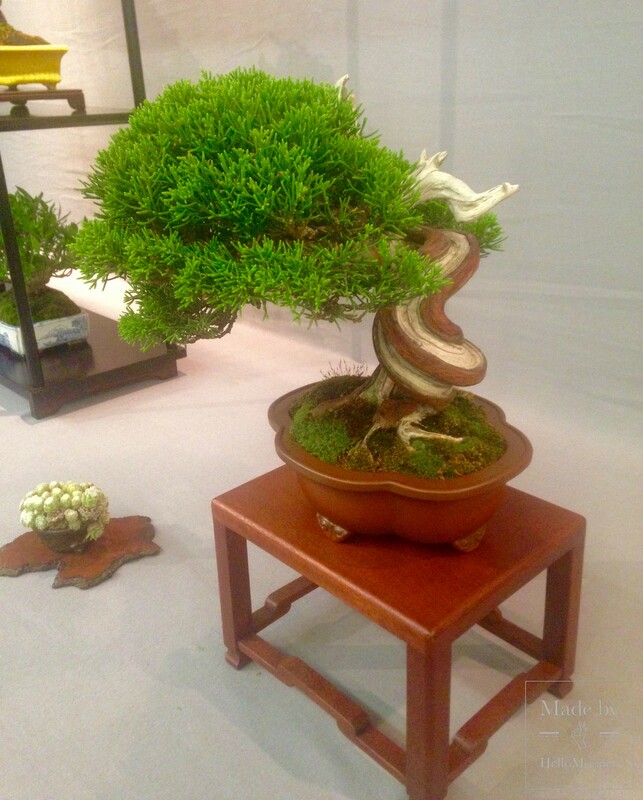 One bonsai enthusiast shared an interesting curiosity; in Japan the beautiful, expensive pots in which the bonsais are kept for expositions are placed in a sand-pit to protect them in case of an earthquake, and are only used during shows. Bernard Jaworowicz, a bonsai advisor and member of the Bonsai Club of Monaco, gave us the reason behind his passion for bonsai, “it is simply an expression of pure love for nature, and is beautifully harmonious with nature”, something you can admire by the various shapes that are actually created by the elements, such as wind pushing against them. He continues saying that it was a shame that not many young people have a desire to cultivate bonsais and carry on their traditions; they are in need of younger individuals who may continue to care for the tree when they’re no longer here. 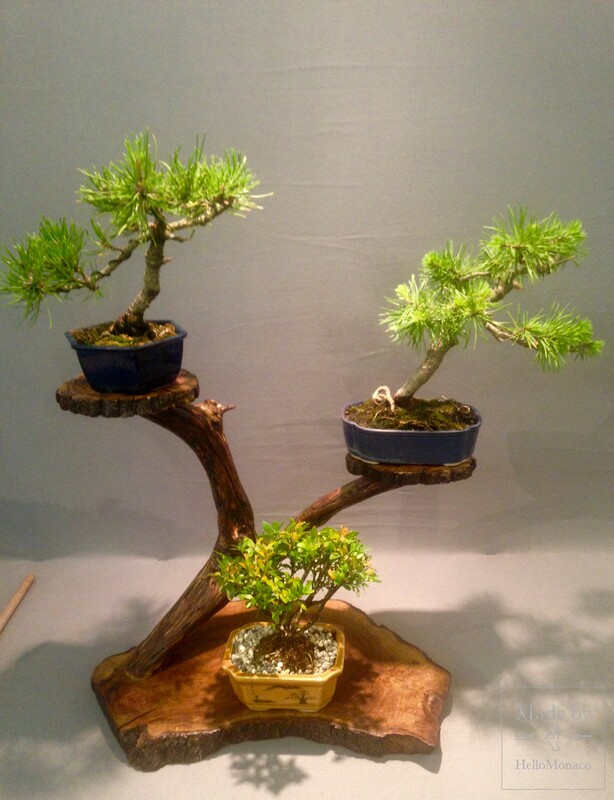 However, he admitted that bonsais do require a great deal of attention, and “it is hard to teach yourself the art, you’re bound to make mistakes as bonsais don’t work like a normal plant”, the solution is to seek advice from experts and masters. It is a delicate art form that needs to be taught from generation to generation.